Full name Thistle from the Sands. 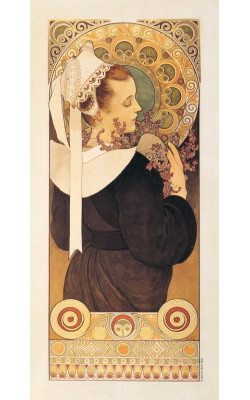 Mucha regularly holidayed in the coastal province of Brittany in northwestern France, and referred to this panel as La Bretonne. 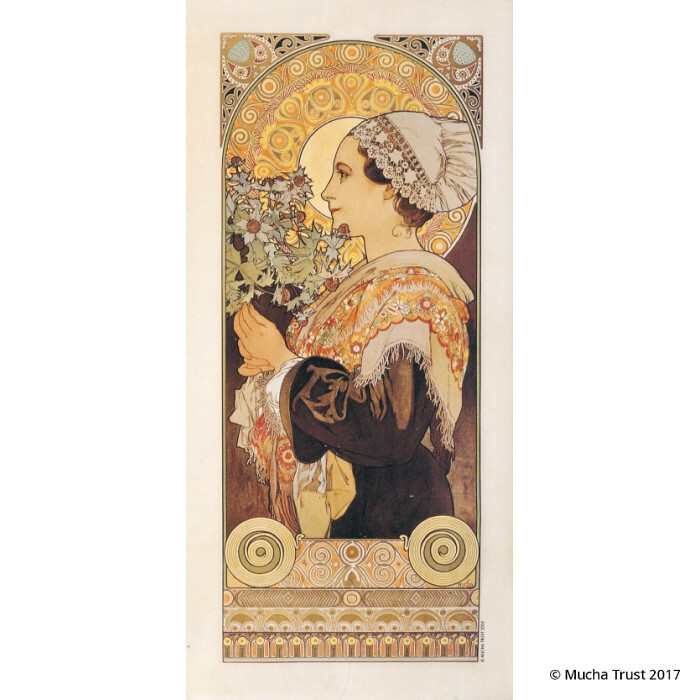 The plant carried by the Breton woman is in fact not a thistle but a sea holly which flourished in coastal areas. Full name Heather from Coastal Cliffs. 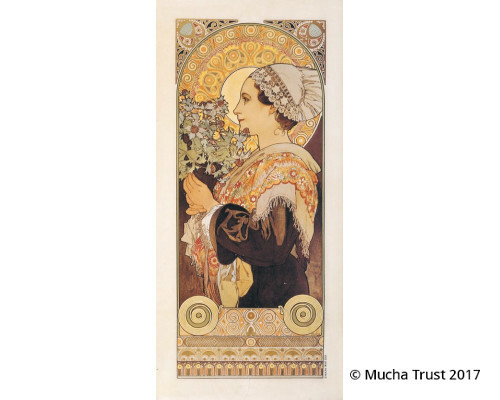 Mucha regularly holidayed in the coastal province of Normandy..